W. Van's best buy! Fully & exquistely renovated home in absolute showroom pristine condition. From the moment you enter the grand Marbled oversized entry you will be impressed! Featuring gorgeous Walnut H/W throughout, all double glazed windows, extensive use of baseboards and crown moldings, brand new custom kit all new cabinetry, undermount sink, granite countertops, new stainless steel kit appls, all new bathrm with new Kohler fixments plus all Marble bathrm counters. New electrical panel, new furnace, 5 yr old roof, dble garage. Set on a private 18,000 sq.ft lot with easy driveway. 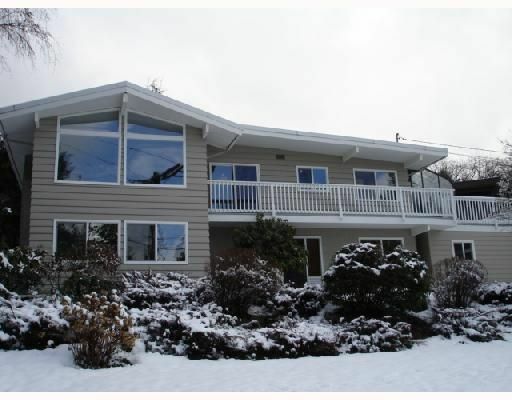 Steps to bus route, minutes drive to schools, Hollyburn Country Club & Park Royal. Avail.